An ideal web browser for smartphone users on the move. 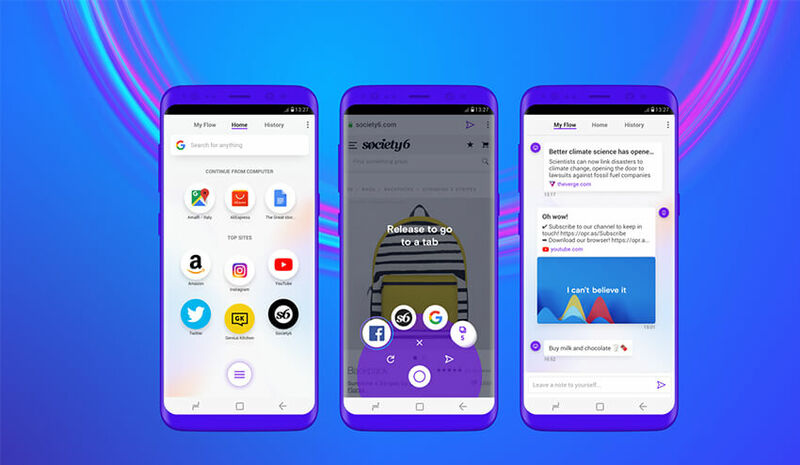 Opera has rolled out its new mobile browser, Opera Touch, that is expected to boost the Opera’s browser market in the near future. The company has rightly followed the market trend and have come out with some interesting features. The new browser is perfect for those users who work simultaneously on their desktop and smartphone and offers better freedom of navigation on multiple platforms. 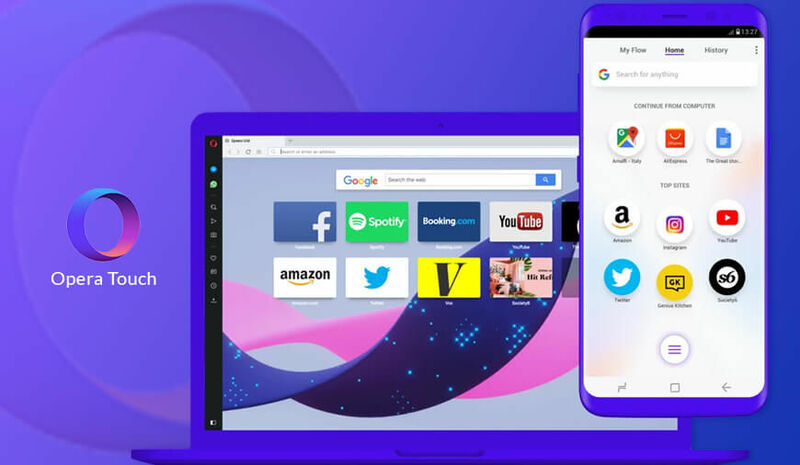 With the launch of the desktop browser (version 52) and Opera Touch (mobile browser), the user would no longer need to enter credentials and passwords separately. With the “Flow” option, one can easily sync the Opera Touch by simply scanning a QR code from the desktop and all the data will automatically get transferred. Furthermore, one can send notes, videos, and pages between phone and desktop. The company promises the feature to be fully end-to-end encrypted. Much like Safari mobile browser, the tab switcher and bookmarks option has been dragged down at the bottom of the page. It will save the user to reach the top of the cell phone, which generally makes the user engage both his hands. Opera has fixed a Fast Action button on the screen, which will redirect the user to the home screen of your mobile browser. On playing with it further, the user gets more options like tab switching, reloading, and tab closing. For quick access, the user can either type the search into the browser, use voice to search, and scan the QR code scanner to search for a site. Some additional features include ad blocker and crypto jacking protection. Currently, the availability of Opera Touch is limited to the Android mobiles only and we soon expect it to dive into the iOS devices.